I cannot say that these donut holes are “paleo-friendly” – they have sugar, and a fair amount. They’re covered in powdered sugar, what can I say. They are, however, a great gluten-free, grain free, dairy free, legume free treat. 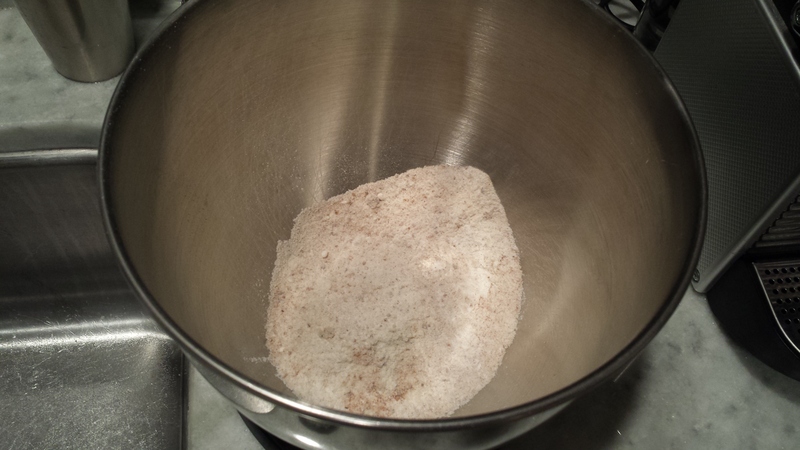 In a large mixing bowl, combine dry ingredients – flour, baking powder, salt, and spices (but only 1/2 t. of cinnamon). This recipe will make about 3 dozen donut holes. Add the ghee, coconut oil, vanilla, egg, milk and applesauce. Stir until well blended. This batter is super thick! Now, preheat your donut hole/cake pop maker and spray with coconut oil. Add the batter to each hole and cook for about 4-5 minutes. 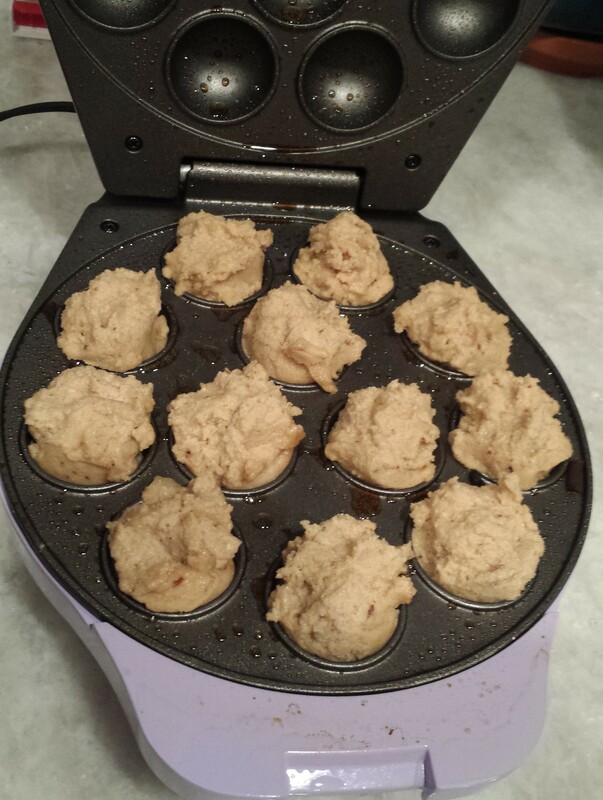 Then turn the donut holes, spray lightly with coconut oil and cook for another 4-5 minutes. While the donut holes are finishing up, in a small mixing bowl, combine the powdered sugar and 1/2 t. of cinnamon. Mix – set aside until the donut holes are done. You’ll know the donut holes are done cooking when a toothpick inserted into the middle comes out clean. 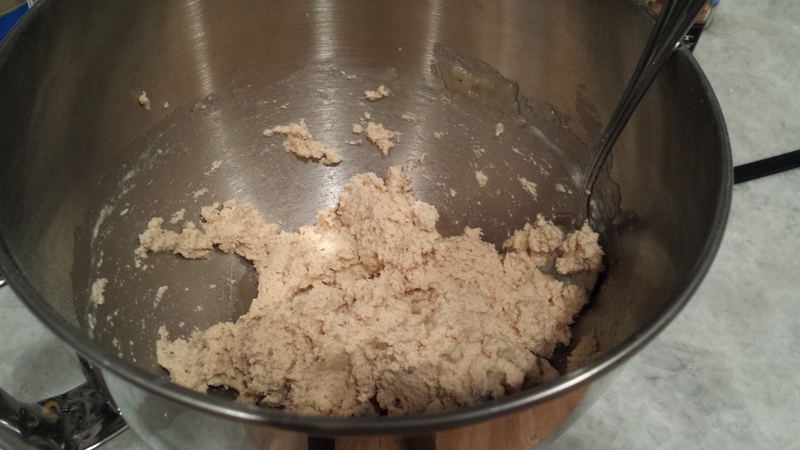 While the donut holes are still warm, toss them in the small mixing bowl with the sugar and lightly coat. Set the donut holes on a wire rack to cool. 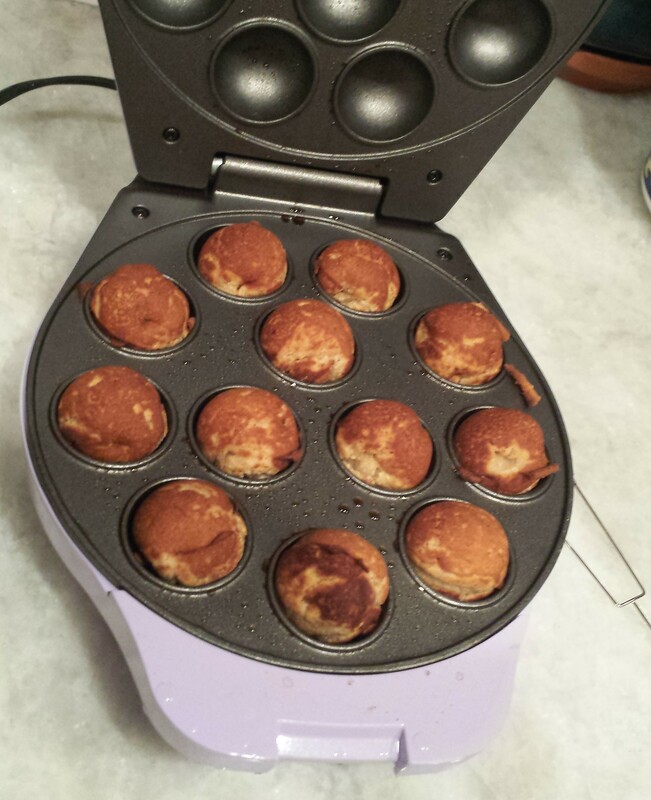 This entry was posted in baked good, breakfast, dessert and tagged applesauce, cake pop maker, cinnamon, donut hole, gluten free, grain-free, paleo-friendly, powdered sugar. Bookmark the permalink.